Today it’s time to clear things up about the large amount SEO myths. 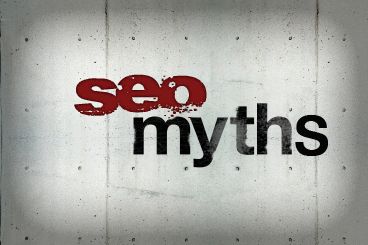 After our new SEO myth buster special, nothing will be the same anymore. If you just Google for a moment (yes, you can try if you want) and search for SEO tips and tricks, you will find thousands of pages full of tips. But if you look closer at these tips and tricks, you will see that there are a few tips that are inconsistent with each other. We’re here to solve these inconsistencies once and for all! One of the first things you will see if you google for SEO tips, is the word: KEYWORD! But the first inconsistency will come with this word. Some of the SEO experts say that it’s really important to make sure that you focus your content on keywords that are related to your website. But at the same time, some of the experts say that the keywords are death. This sounds like it’s now useless to use keywords, because Google will look right through this intention to raise in their rankings. But that’s our first SEO myth that we want to clear up. Keywords are not death! The fact is, keywords are just as important as they always were. But there are also a lot of new techniques that Google uses to collect the best websites for a search word. That’s why it’s smart to take all these new techniques with you if your writing content but you surely must think about your keywords! It’s also smart to use some synonyms of your keyword and some related words because Google now scans for more than just your targeted keywords. If you want to make sure that you use just enough keywords in your content, you should use the free trail of webtexttool to check the technical optimization of your texts. SEO myth #2: Longer articles are better! This is another myth that we need to clear up. Longer articles aren’t always better. You don’t have to write long articles unless you really need that much space to explain your subject. Our tip is always: Think of your audience. If you think they want to have more information about the subject, write more. If you think just a simple article is enough, then write less. For the search engines doesn’t make any difference in the rankings. As long as your story is unique and compelling, you don’t have anything to worry about! This myth is quite a big one. ALT-tags and descriptions should be very effective in SEO ranking. Well, they aren’t. Yes, we think it’s important to use clear descriptions and ALT-tags with your visual content, but it has no (measurable) effects on your search engine ranking. They might appear in the google image search, but that’s all of the SEO effects that you will get by using an ALT-tag or description. A lot of people think that if you duplicate your content, Google will give you a penalty for it. Well, that’s not the full truth. Yes, if you try to manipulate the search engine results by duplicating your content over and over again, with the goal to mislead Google, then you have the chance that they will punish you. But if you just rewrite some articles or duplicate some earlier written content on your website, then you have nothing to worry about! Some people seem to think that linkbuilding and SEO is a once in a lifetime thing. You need to get some links, make your pages optimized, and BOOM, you will be the SEO king. That’s a big myth, even if you are at the top of the search engines, think about the fact that you’ve kicked someone off the top by climbing there. That could also happen to you. That’s why you have to optimize your content, again and again. Never stop working on your SEO ranking, it can always become stronger!